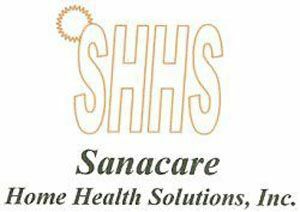 Please visit our website www.sanacarehomehealth.com for a complete description of our agency. If you or a loved one, go through difficult times in maintaining a stable, comfortable life style in your own home, then call with confidence 561 372 9535, and we, at SANACARE, are here to help. Our highly qualified and screened Home Health Aides, Certified Nursing Assistants, LPNs, RNs are the integral part of our agency. Professionalism, care, compassion and respect are the qualities we bring with us to you or your loved one’s home.We have selected them through years of services from among many, only those committed to excellence and share our values and expertise remained with us and to serve our clients with their Daily Living Activities. The services are customized to the needs of each client, and *** WE ACCEPT ALL LONG TERM CARE INSURANCES *** and/or PRIVATE PAY. •Transportation Assistance to Movies or Friends. Call (561) 372-9535 to speak directly with a live operator 24 hours. SANACARE is Florida State licensed, bonded and insured. (License # 30211211).